>With all of the human makeover, home makeover, room makeover shows out there I thought I would post a makeover of my own. 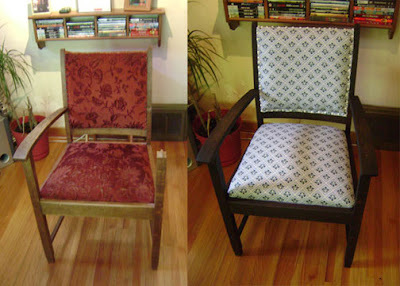 I recently came into possession of an Dutch Antique chair that was destined for a ceremonial fire. However, I claimed I could give it another life. Here are the results of my efforts, and stages. >I just recently designed a plate based on the theme of happiness and harmony for a Competition over at Design21. 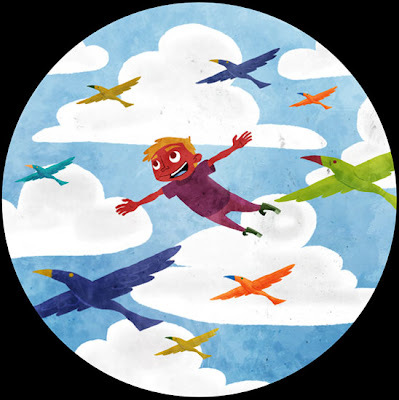 I thought the idea for a child freely flying with a flock of birds would speak about over coming our challenges, and becoming harmonic with nature. Thoughts? >A Wip that I am working on.